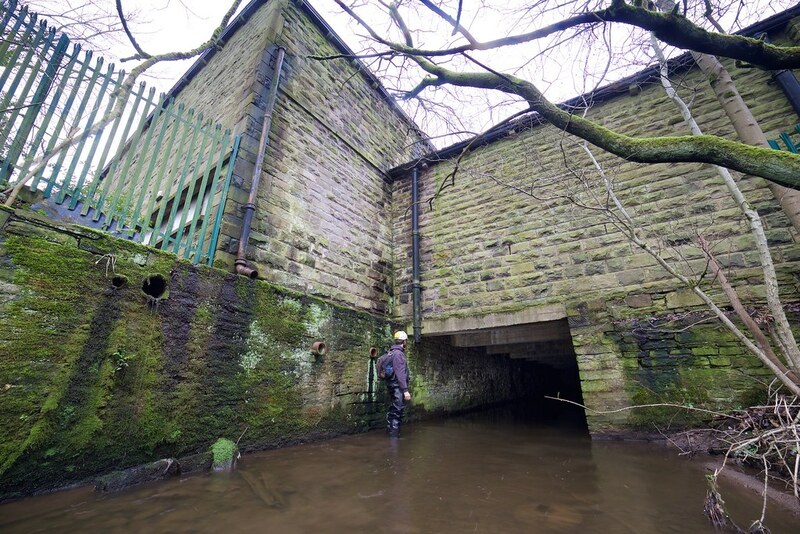 This culvert takes the Swinnel Brook under the Birtwistle Mill for around 150m and features a mix of stone arch and channel. 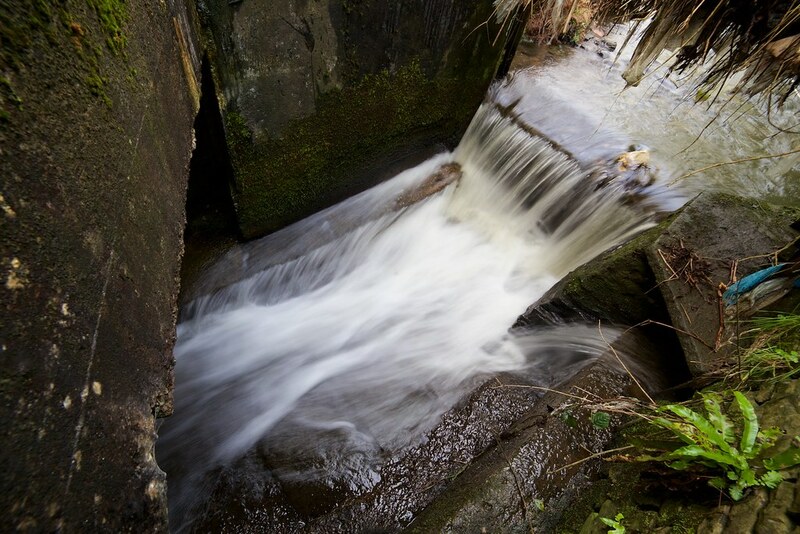 The infall features a small waterfall that channels the flow into a fast moving channel. 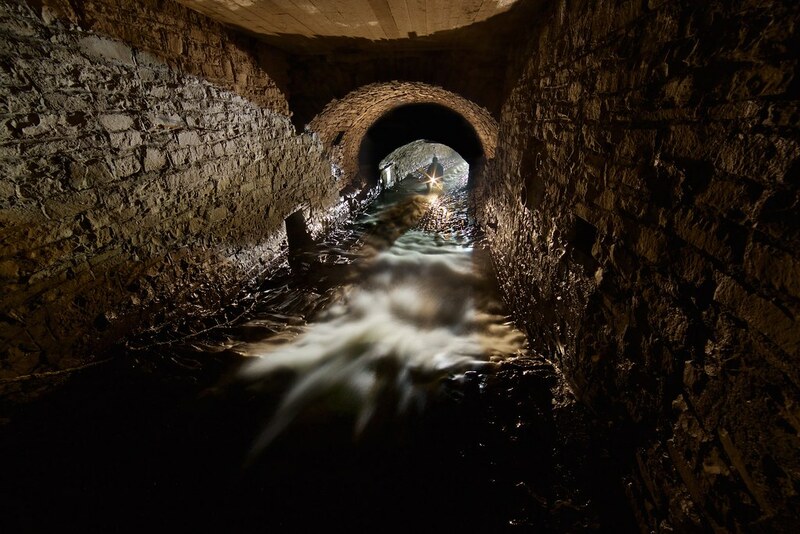 It goes round a corner in a stone arch tunnel and down a small cascade that is the most photogenic part of the culvert. 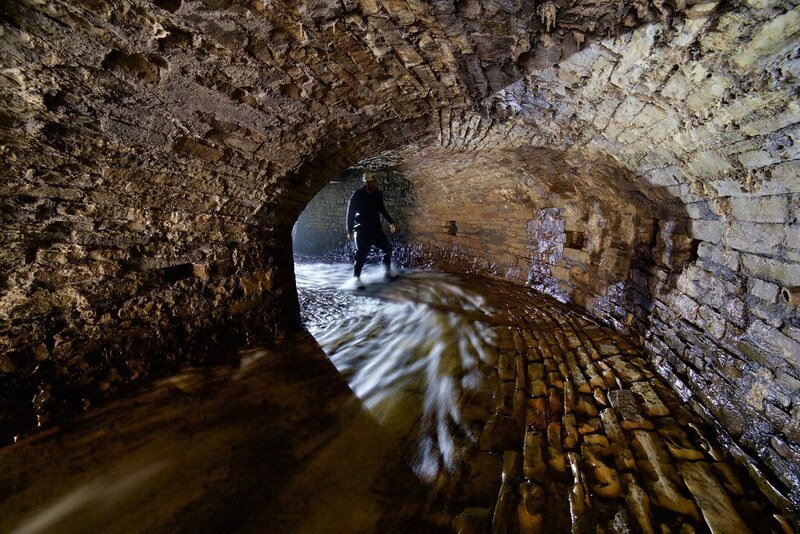 After the cascade is a stone lined channel, like most watercourses under mills there were a couple of odd features. 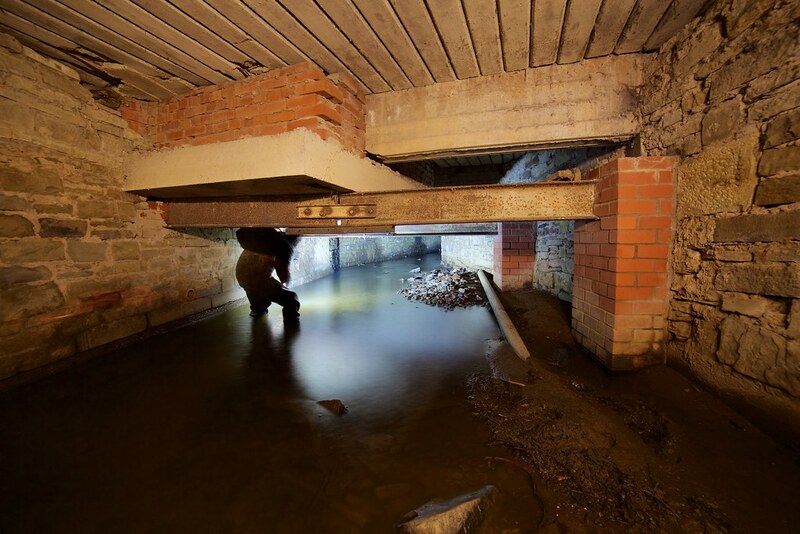 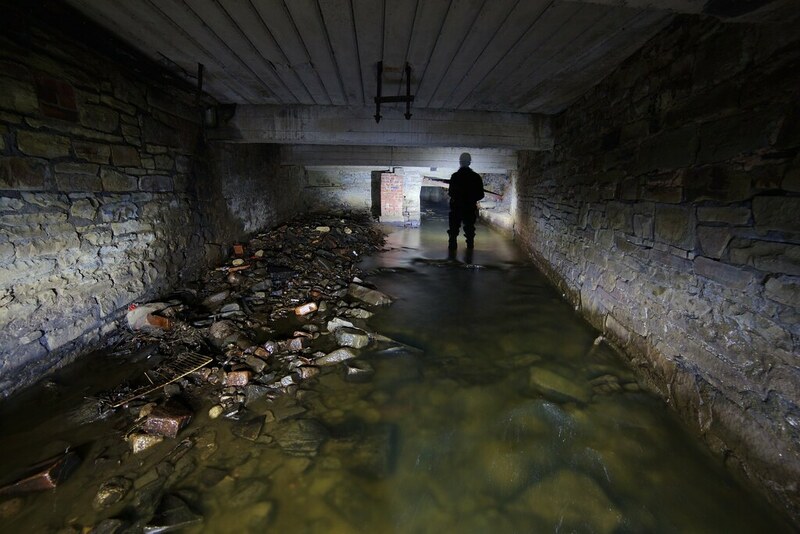 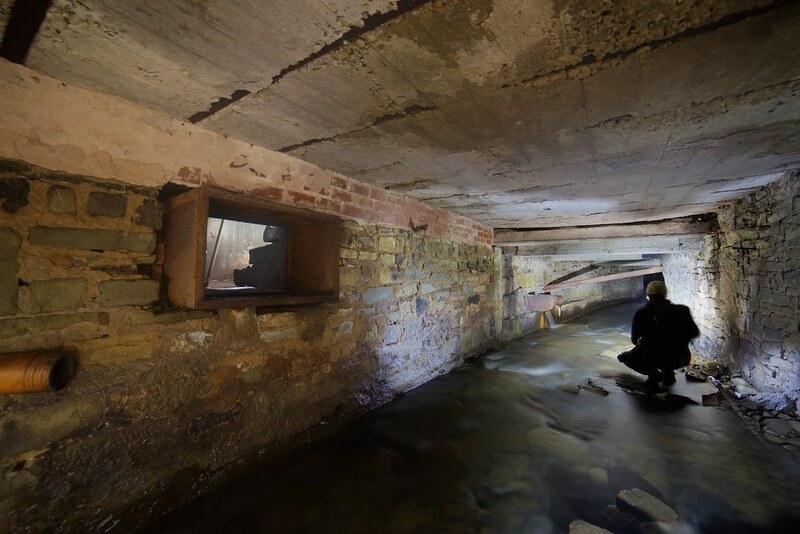 A window into the culvert allowed access to a small building above and further down what looked like the bottom of a small room built onto a supporting beam.